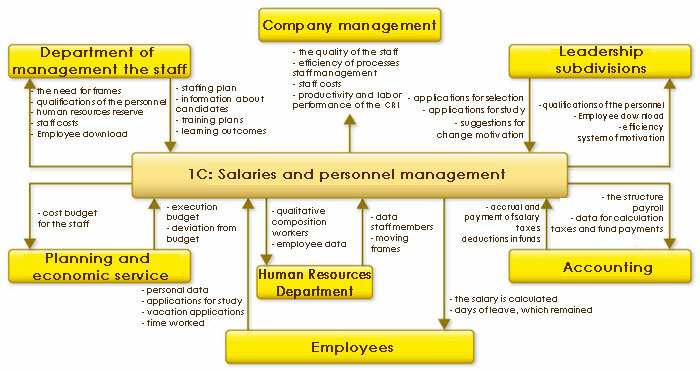 The program “Salary and Personnel Management for Ukraine” is a powerful tool for implementing the personnel policy of the enterprise, as well as automating various services of the enterprise, from the personnel management service and line managers to the accounting staff. For the purpose of accounting, the joint work of the applied solution “Salary and Personnel Management 8 for Ukraine” is provided with the program “Accounting 8 for Ukraine”. At any time they will be able to quickly get the necessary information, information about their vacation, personalized records in the Pension Fund, etc.